Great find at the local thrift store. 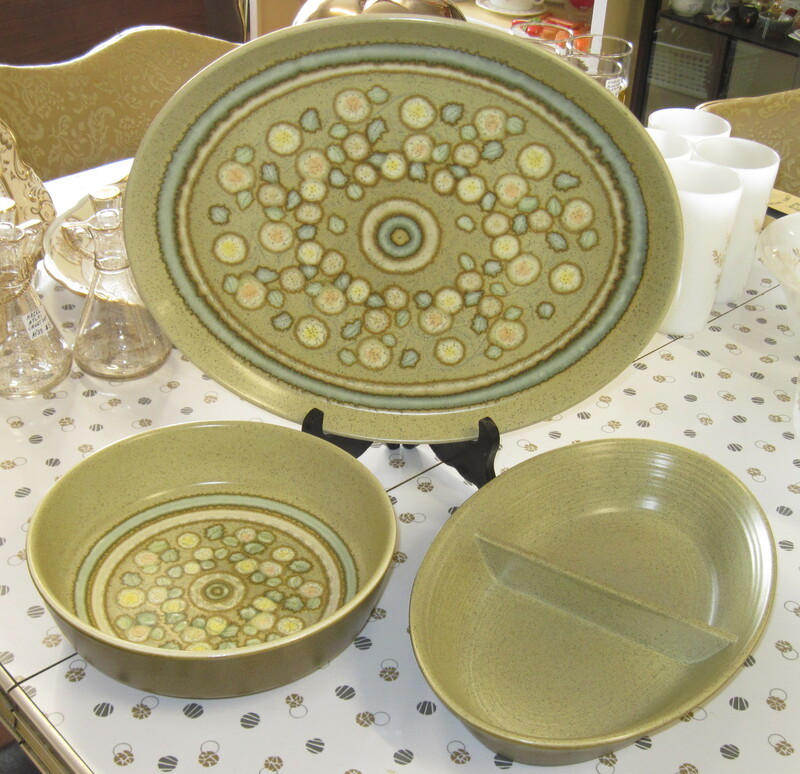 The colours on these serving dishes are lovely; soft turquoise and pale creamy yellow on a pebbled light olive green background. Made in England, the pattern is called Reflections by Franciscan ca 1974-75. Not quite mid century but close enough! The dishes ate still available. Thank you so very much for shipping me these dishes and helping me add to the partial dinnerware set left to me by my grandmother. The dishes were beautifully packed and arrived so quickly. If you come across this pattern again, do let me know! Thanks for the nice comments. You can rest assured if I ever come across any more in this pattern, I will let you know.